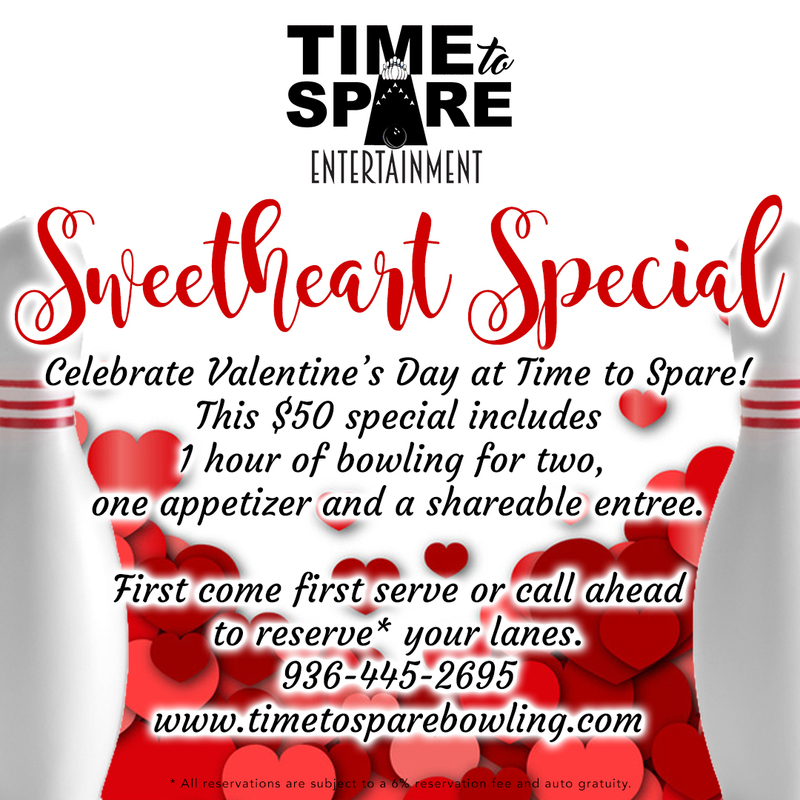 Celebrate Valentine’s Day at Time to Spare! This $50 special includes 1 hour of bowling for two, one appetizer and a shareable entree. First come first serve or call ahead to reserve* your lanes. Entree options: Large one topping pizza, Street Tacos for Two, Large Boneless Wings with Fries.